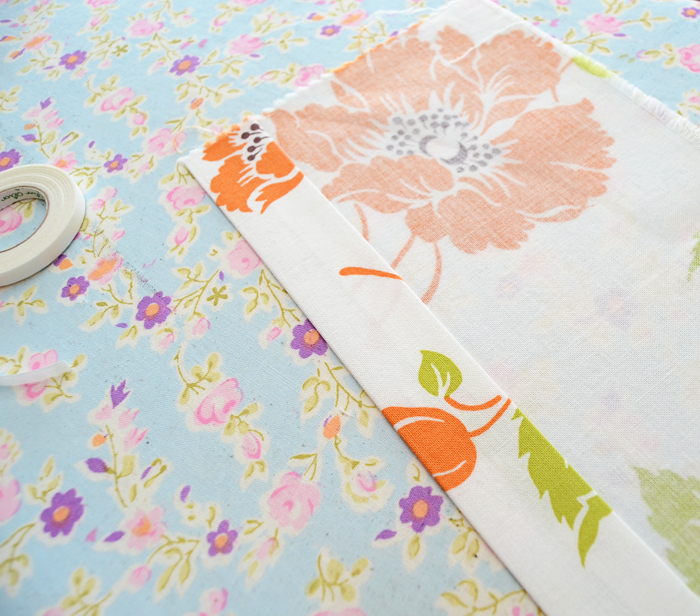 Today I thought I would tell you about some of the uses that I use fusible web for. Don't know what fusible web is? Check out my last post here. First I'll go over quickly how to use it, that way, if you're still on the fence you can get a visual for what I'm talking about here. Here's a small fabric sample that I'm creating a hem on. I've turned the raw edge up 1/2" and from there I'm going to turn it up a full inch meaning that my hem allowance in this case was 1 1/2". Apply the fusible web with the webby side down on the fabric. For some webs you'll steam or iron it in place and for some, like the Wonder Tape, you just stick it on there and push it down. For my sample here, I've turned the 1" portion of my hem allowance back and I'm applying it to the inside of what will become my hem. Once you have the web in the place you want it, lift up the paper. For the Wonder Tape, this might be a bit tricky but just separate it carefully at the top and away you can go. Now stick the remaining adhesive side to something else. In this case, I'm just turning up the hem that 1 inch and sticking it to the other side. Keep in mind though that this can be helpful for zippers, trims and other such things. You'll press with steam in the place with your iron and then from there permanently stitch in place. Remember the fusible web is just a temporary baster. 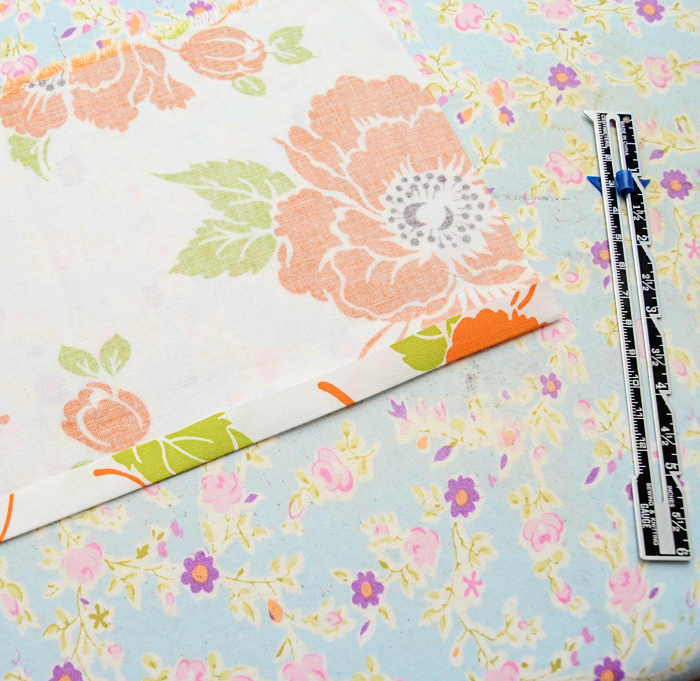 It keeps things from shifting about and makes sewing certain things together easier. The final step is permanently stitching whatever you've temporarily basted. So, what are some other applications that you might use this stuff in? I've just shown a hemline here and zippers which you can see in my Craftsy class (no longer available). 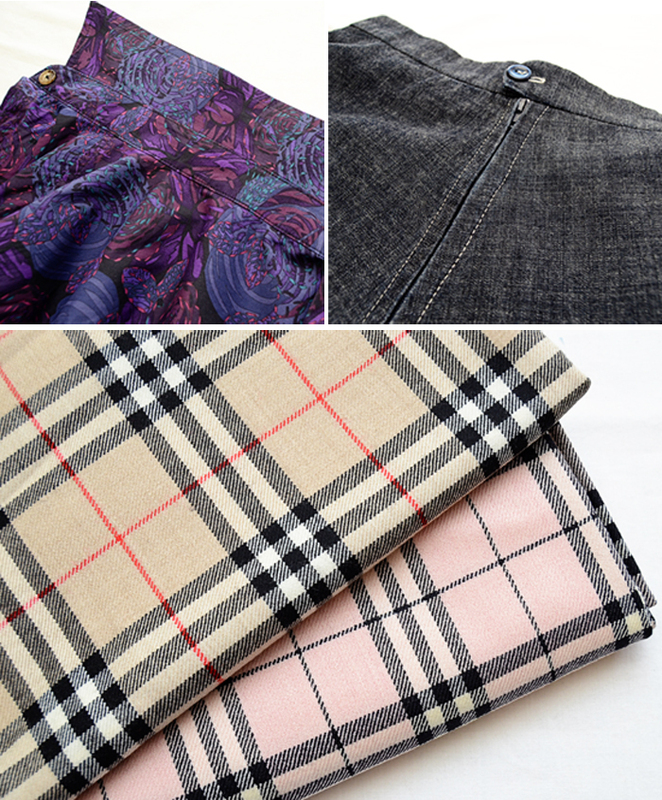 Some other places to consider is matching plaids and patterns on fabric. 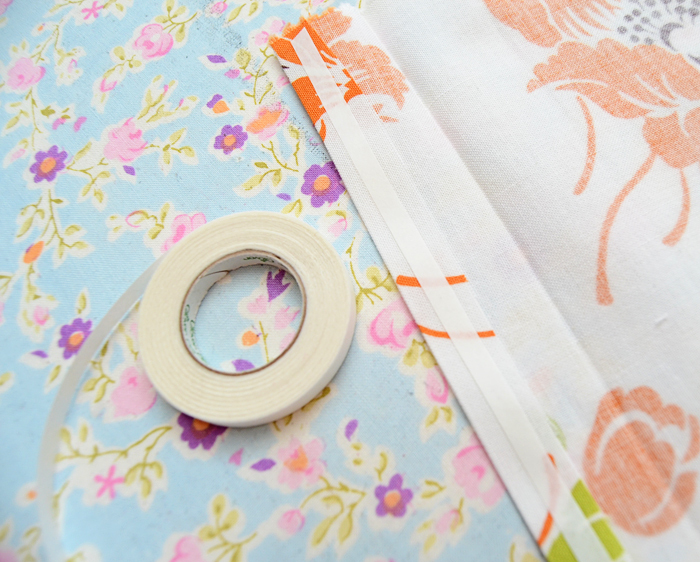 Instead of hand basting these sections, try the fusible web instead. One of my favorite places to use this is in the collar stand area on a classic button up shirt - in fact I'll show this one in an upcoming tutorial. Easy peasy! Another favorite application: Whenever I have to stitch in the ditch, like in the case of a skirt or pant waistband, I put this stuff down on the inside/facing first and then go about stitching in the ditch. Prevents rippling, pulling, puckers and distortion. So much easier! I also used it in the neckline binding of my wrap dress version from the 2-in-1 sewalong. Ready to give fusible web a try? If you use it, what are some things that you use it in? Great tutorial! 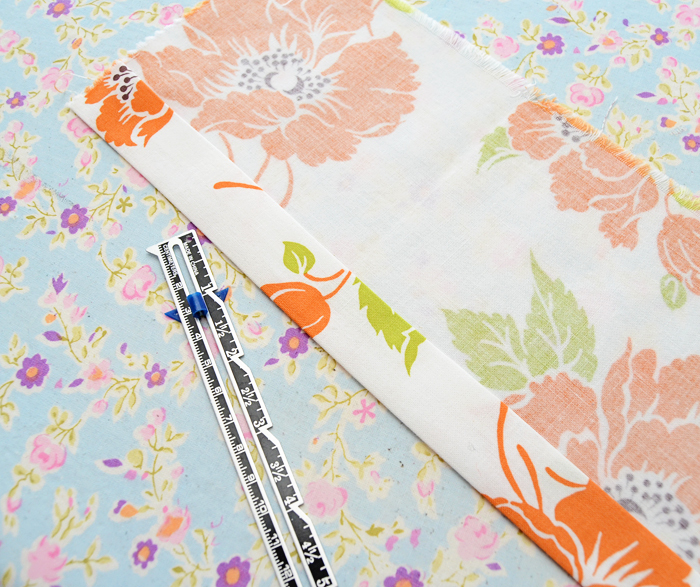 And I might add love the fabric choice for the sample hem! Oh! That's a great idea to use it for the collar of a button up shirt. I had some troubles with my two first attempts. My collar seems to long for the shirt, and I had trouble when sewing, things where moving around... Next time I will try fusible web! I'm a new reader and really curious about your fusible web claims. I ordered some Wonder Tape from your site, and can't wait to try it, as soon as it gets here. If it works as great as you say, then I'll be ever so thankful ! Hello, I'm 2/3 way through the Craftsy zipper class and its excellent. I've been using the Steam-a-seam to do the hems of knits. I finish the hems with my twin needle and I've found using the fusible web helps to reduce that little ridge at can develop between the two lines of stitching, plus makes it heaps easier to sew. I'm looking forward to using it for other purposes although in Australia it's a bit hard to find! Cheers! 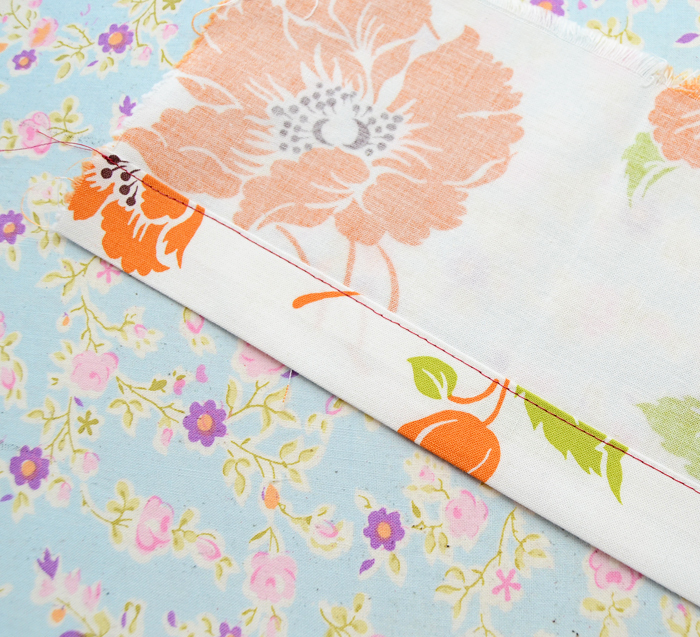 I love the idea of using it to baste zippers! Thanks for highlighting this notion, I'll have to look for it. I bet fusing a label first before stitching would be really helpful. I just ordered mine, and they are made of rather thin organic cotton. I was just thinking that it would be tricky to attach straight. Thanks for the great tip! I just recently figured out that I could use fusible web to add paper to patterns when I'm altering them, in fact I wrote a post about it last week! So, at the moment that's my favorite use. 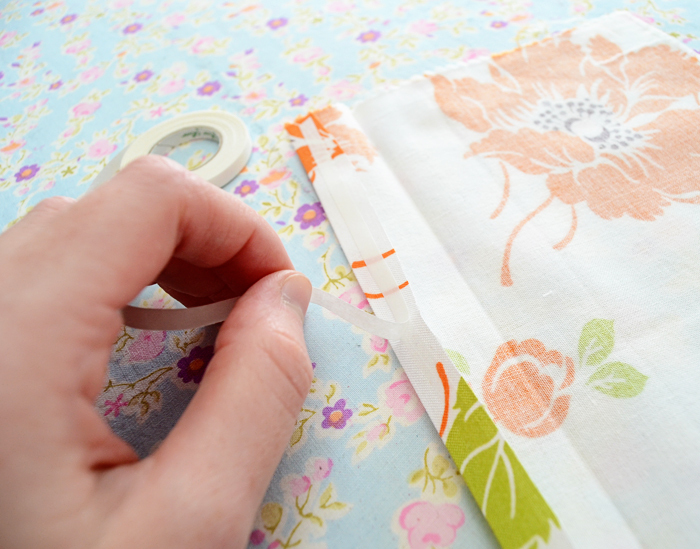 I've also used it to hold things in place before I stitch when I'm trying to ease something tricky. All in all, a good thing to have on hand! Thanks to your Craftsy class I learned the proper way to install a lapped zipper and proceeded to sew my best zipper ever. Thank you for being such an awesome teacher!